HE! MAKUBWA HAYA: BARABARA NAZO MBIONI KUBINAFSISHWA!? Dar es Salaam city authority`s $3bn transport crisis rescue plan, which will involve private individuals funding the multibillion-project, has elicited strong resentment from the public. A cross-section of motorists and city residents interviewed on Friday said they were completely opposed to the idea terming it as misplaced. Any attempt to carry on with the plan would only show how things have gone awry for the government. ``No, it can`t be! It can�t just happen! That would be completely outrageous! It will be like selling off this country,`` a visibly surprised and thoroughly agitated Rajabu Hassan Mambo, a taxi driver at Mwenge in Dar es Salaam, said. He was reacting to the recent mooted plan, which aims to revamp the city`s road transport network through private funding that will see individuals own public utility roads. 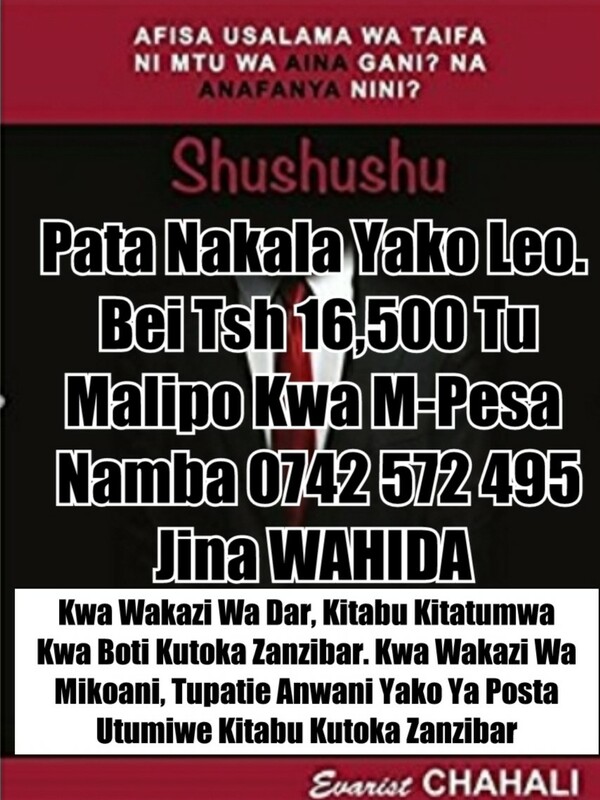 Mambo likened the idea to giving out one`s plot to a private developer, and then upon assuming residence on the same plot, you go on to pay rent for the rest of your life. Overwhelmed by ceaseless traffic snarl-ups on most roads heading to, and from the city centre, city authorities have embarked on an expensive and overly ambitious Dar es Salaam Transport Policy and System Development Master Plan to remedy the situation by 2030. Under the arrangement, private individuals are invited to invest in the reconstruction of sections of some roads and widening of the main highways within the city. According to the Dar es Salaam city mayor Adam Kimbisa, any prospective private investor will be apportioned a section of the road to finance its refurbishment, and then collect toll from motorists to recover expenses incurred. Mayor Kimbisa justified the plan, stating that it has successfully been carried out in Malaysia`s capital city, Kuala Lumpur. Several interviewed by The Guardian on Sunday said they were disappointed with the country`s leadership. Jankar Mbungo for example faulted the government for remaining out of touch with real issues affecting Tanzanians. ``We, ordinary citizens, are burdened with taxes already. Prices of commodities are all time high, and instead of the government making policies that will solve the country`s problems it`s making life more difficult for us.`` Mr Mbungo stated.